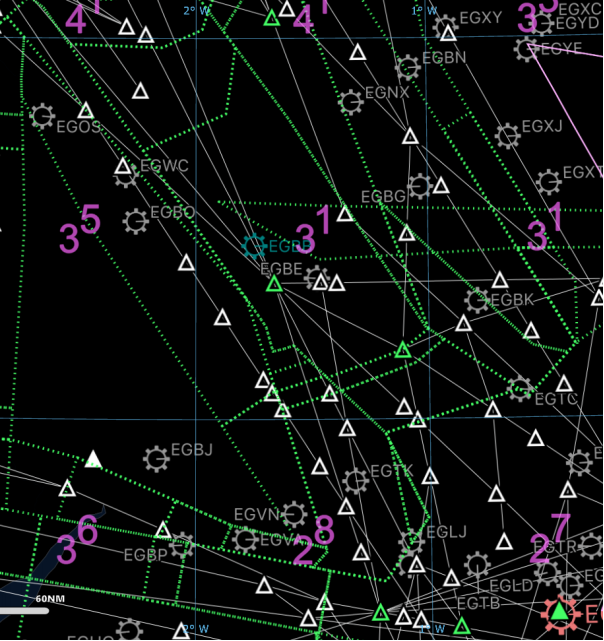 This will show you how you can select an aerodrome from the enroute map and view the related charts. If you tap on an aerodrome in the map view you will be able to view its charts in the chart viewer. You can only view aerodromes in your subscription. Charts in your subscriptions are highlighted cyan on the map (only if ERA is set to POS). In this example you can click on EGBB. Click the EGBB Aerodrome image. You can click yes on the prompt to confirm that you want to view the charts. You are now viewing the selected aerodrome. Let's go back to the enroute map. 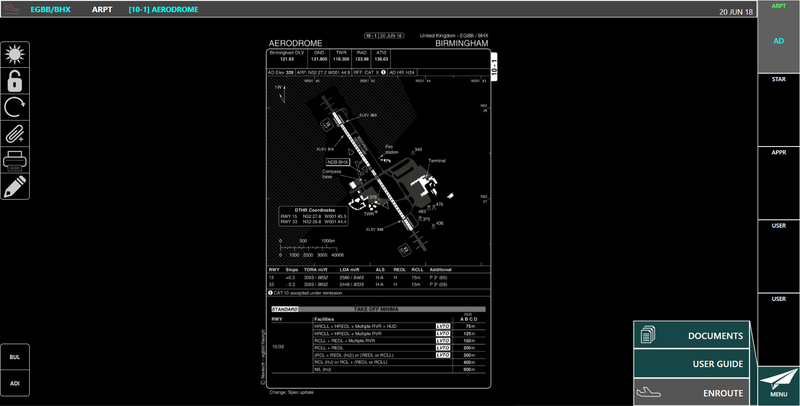 The aerodrome selected will be in the ALTN section in the route toolbar. Any other aerodromes you select this way will also be added to this list.